I said I’d look at each of my BarberBlackSheep’s Build a Batt Boxes individually in blog posts. So let’s start with the first one I did for June 2014: Lavender’s Blue Dilly Dilly, Lavender’s Green. 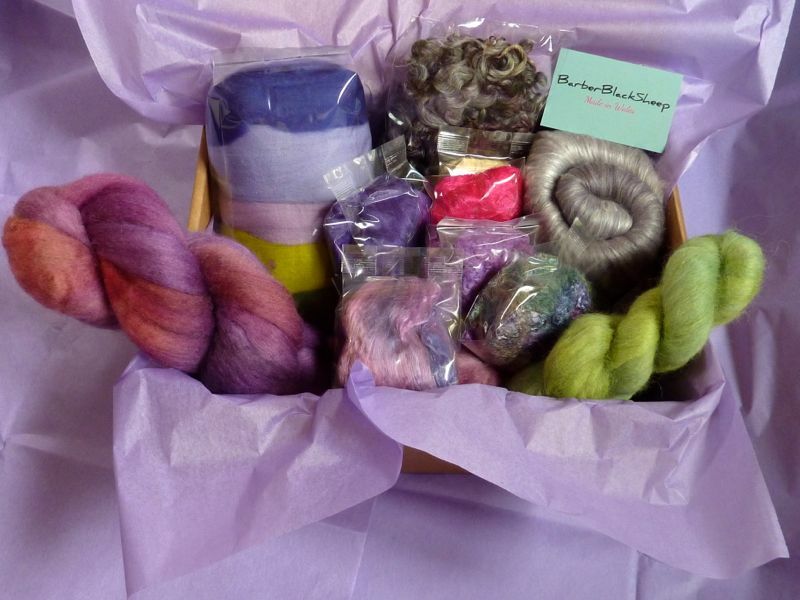 To recap what a Build a Batt Box is – this is a limited edition monthly box of fibres put together by me around a colour theme of my choosing. 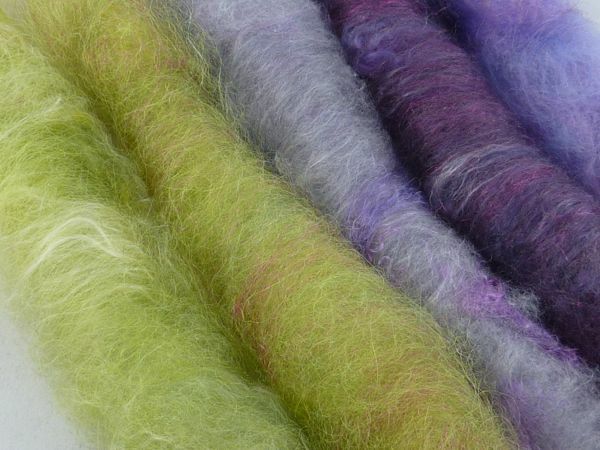 When you start to card up your own fibre blends it can be expensive to buy up all the colours you’d like to put in your batts or rolags and some fibres you only really need a small amount of anyway, e.g. Firestar/Trilobal Nylon and other sparkly fibres and also textured fibres like silk noil go a very long way indeed! Other fibres add something special to a blend but you might only need a small amount in a blend, for example bamboo or mulberry silk give extra softness and lustre to wool blends but as little as 10% can really change the blend and be far more cost effective than adding large amounts of more expensive fibres. It’s not always possible to get fibres in the exact colours you want to go together (although there is of course a huge range of fibres and colours already commercially dyed out there) so some of the fibres I’ve chosen are hand dyed by me to fit within the range of colours of my chosen inspiration. You can use all the fibres in a Build a Batt Box together – it varies slightly from month to month but it’s basically around 275g of fibres in total. But the idea is that it’s more a starting point for your imagination and also a way to build up a little stash of various fibres in colours you like and then you can always add more later in similar colours to make it go further. 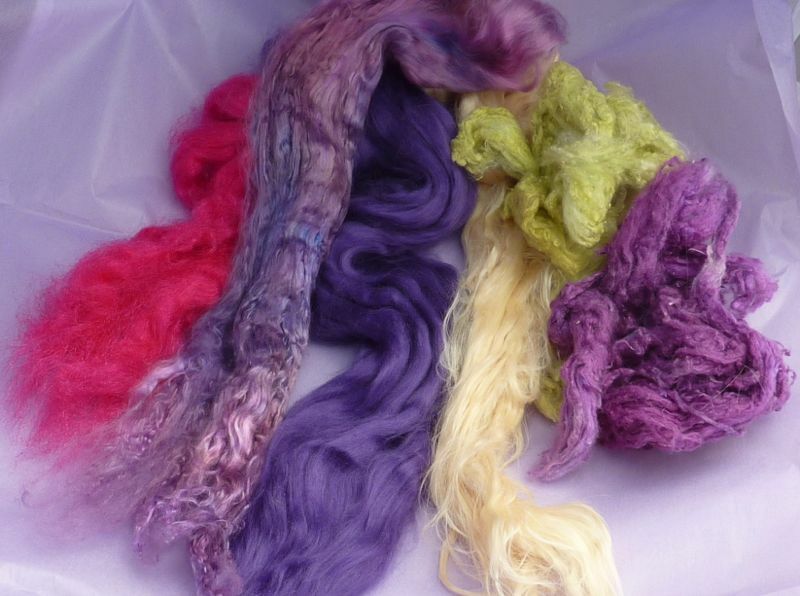 Quite a few of us quickly accumulate fibres and fleeces when we start spinning; visiting some of the amazing fibre shows we have in the UK over the course of the year seems to be a fail safe way of liberating cash from one’s purse! 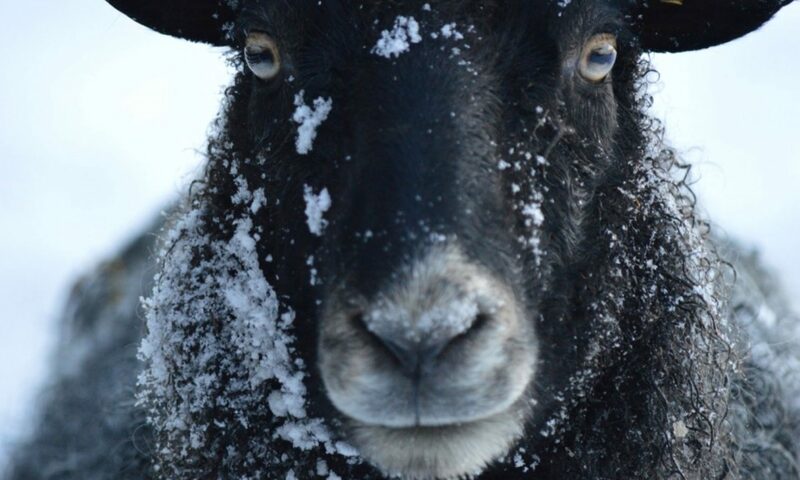 And when buying fleeces – whilst they lose a bit in mass when you skirt them and wash them, even after that, most fleeces are still far far bigger than one project and so by adding other fibres to your washed and carded fleece you can create totally different yarns and get several projects out of one precious purchase. It’s a great way of making a very special fleece go further. Sooo… The “lavender” June box. 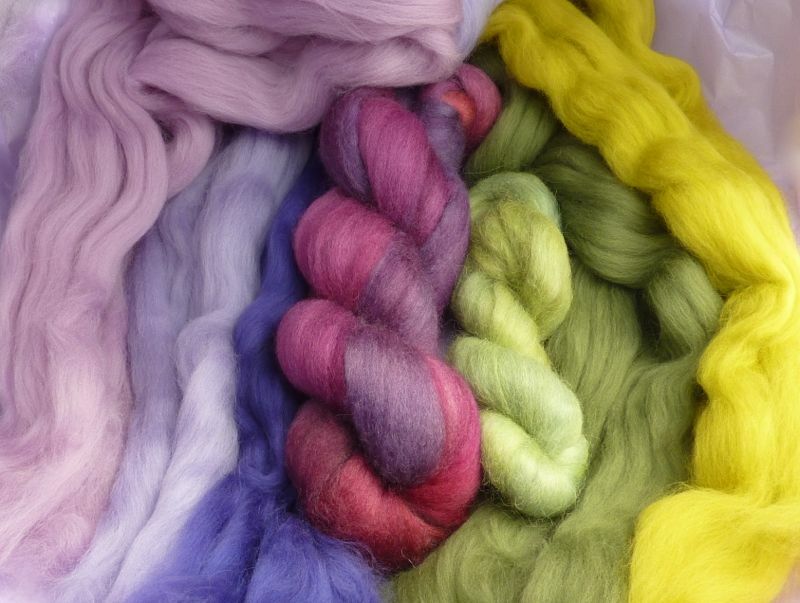 It’s made up of hand dyed BlueFaced Leicester (BFL) and alpaca and a selection of 5 commercially dyed merino tops. 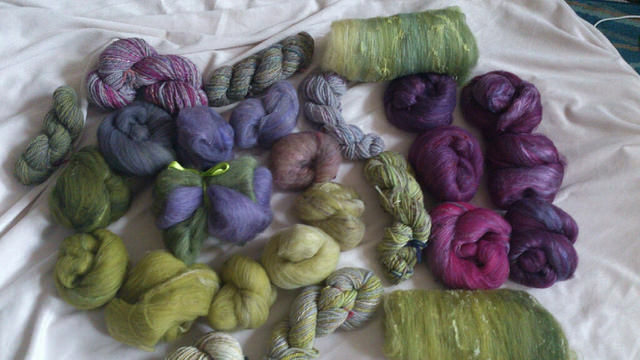 Here I made a few rolags with some of the fibres to give an idea of some colour/fibre combinations. My friend Fiona is currently working on a shawl project in shades of purple and green and has slowly amassed a fantastic collection of gorgeous batts she’s made up herself from fibres from several different sellers including fibres from this particular Batt Box in her project. She’s happy for me to use her project photo here to give some ideas and inspiration! A lot of the fibres in these batts below were ones she’d already bought or had in her stash – I love this because it shows you don’t have to be limited by what’s in the box. The only real limitations are your imaginations: it’s a starting point to creating something really individual and unique to you! I think the Quaker Yarn Stretcher Boomerang shawl pattern (by Susan Ashcroft) Fiona’s picked out for this project will show off the colour changes beautifully and it’s perfect for hand spun yarn. Another similar pattern I think would work brilliantly for these kinds of yarns and one I might knit myself soon is the Dangling Conversation shawlette/kerchief (by Mindy Ross) also on Ravelry. Other ideas include colourwork for a yoke of a sweater, perhaps spinning up yarns for a weaving project or crochet project, small knitted items such as hat and mittens set or even push yourself to learn something new and build them up into quirky innovative art yarns for knitting and weaving with or even just to admire for their own beauty! 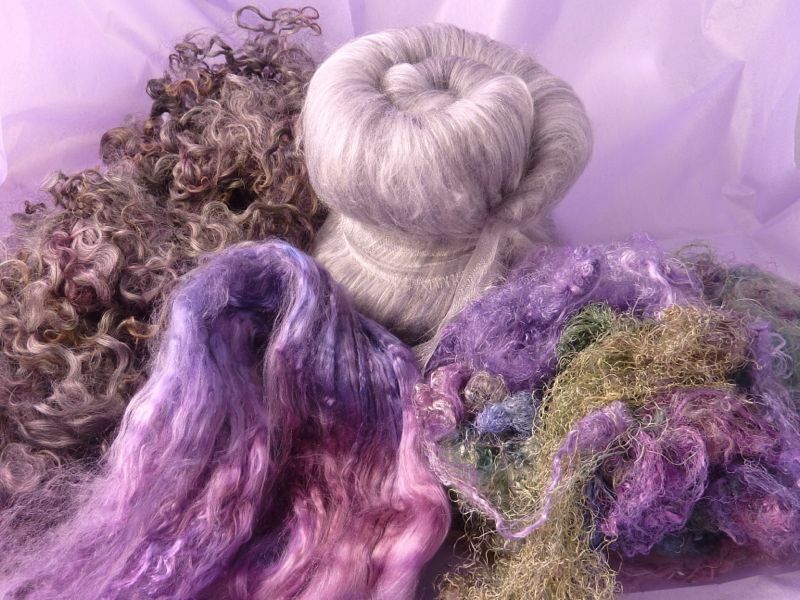 There’s also plenty of texture and colour for other fibre media artists – everything in the box would work well for wet felting or needle felting/embellishing – the wools and alpaca will wet felt readily and the other non-felting fibres can be incorporated into felted items by entrapment, needles felting or using an embellishing machine. So many things to do with fibres: What will you do with yours? If you’ve bought one of my Build a Batt Boxes and you’re on Ravelry then please do drop by my group BarberBlackSheep and post pictures of your batts, yarns or even finished objects – I’d love to see them and I’m sure everyone will find it really inspiring to see what ideas you’ve come up with. The “Lavender’s Blue” June Box thread is here. I’ll come back in due course with the next box I did in July – and some more pictures hopefully! !